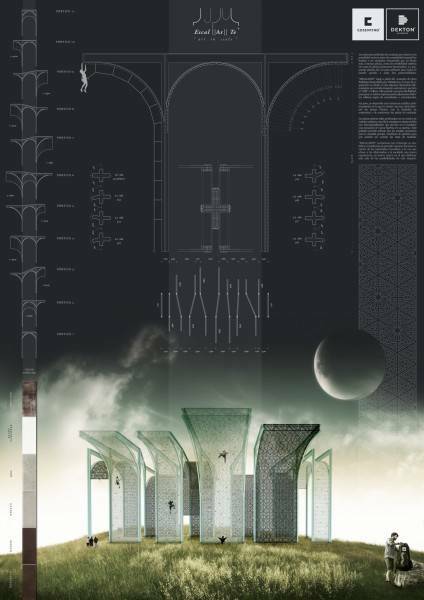 Architecture (In this field the topic was “Cosentino and sport” with the candidates’ surface area or site of choice). 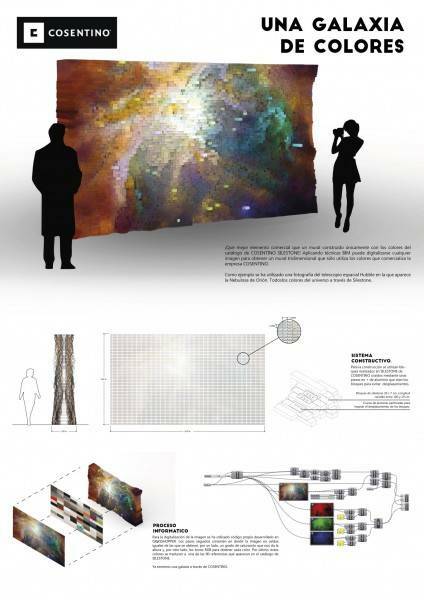 Design (The theme for this category consisted of working on “commercial elements”, playing with different surfaces). From Spain: Escuela Técnica Superior de Arquitectura de Madrid, Escuela Técnica Superior de Arquitectura de Barcelona, Escuela Artediez de Madrid, Escuela Técnica Superior de Arquitectura de la Universidad de Navarra, Escuela Técnica Superior de Arquitectura de Sevilla, Escuela de Arte de Almería, Escuela de Arte Superior de Diseño de Alicante, CEU–Universidad San Pablo de Madrid, Universidad Rey Juan Carlos de Madrid, Escuela de Arte de Zaragoza, EAAI Diseño & Arte de Granada and Escuela Técnica Superior Arquitectura de Zaragoza UNIZAR. From Italy: Istituto Europeo di Design Milano. From France: École Supérieure des Arts Modernes. From Portugal: Universidad Tecnica Lisboa. From Sweden: Lulea Tekniska Universität, Lulea. 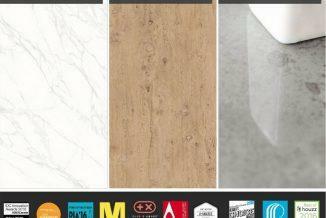 From the USA: American Society of Interior Designers. From Mexico: Universidad Marista, Mérida. From Australia: University of Technology Sydney. And from Singapore: Lasalle College of the Arts. he jury for Cosentino Design Challenge consisted of representatives from the partner schools and universities involved in this year’s edition. The Granada architect Juan Domingo Santos was also invited to sit on the jury, alongside the Director of Communications and Marketing, Santiago Alfonso, on behalf of Grupo Cosentino. 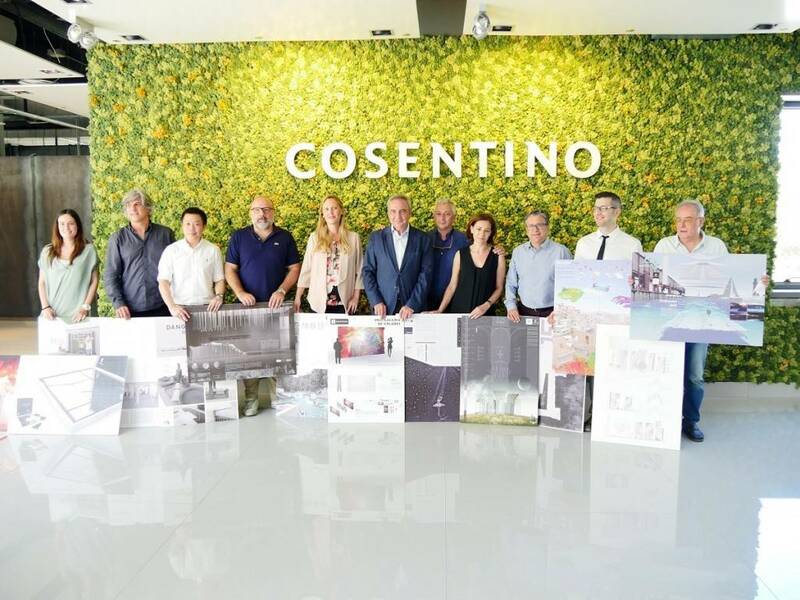 To mark the 10th edition of the competition, Cosentino celebrated the jury’s decision at their head offices in Cantoria, Almeria. After completing their deliberation, the members of the CSR Corporate Committee, led by the Chairman of the Group, Francisco Martínez-Cosentino Justo, greeted the jury members present and saw for themselves the short-listed and winning projects for this year.